Sublimation is the transition of a substance directly from the solid to the gas phase without passing through the intermediate liquid phase. Sublimation is an endothermic phase transition that occurs at temperatures and pressures below a substance’s triple point. The reverse process of sublimation is deposition or desublimation, in which a substance passes directly from a gas to a solid phase. Sublimation has also been used as a generic term to describe a solid-to-gas transition (sublimation) followed by a gas-to-solid transition (deposition). Sublimation as a production technique is relatively simple. 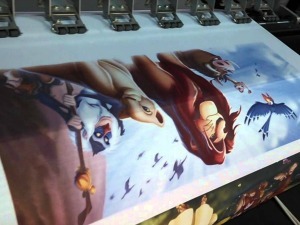 It’s the chemical process which separates it from any other form of digital printing. When sublimation inks are heated, they turn into a gas and for a permanent bond to 100% polyester fabric or items that have a polymer coating. The ink molecules revert to a solid state upon cooling. The result is a premium full colour, a photographic quality image that will not crack, peel or wash away from the substrate. 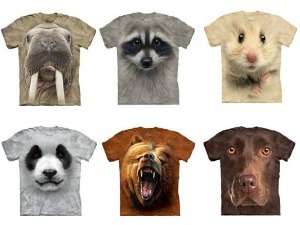 Sublimation dyes are not opaque and therefore the printable items need to be white or a pastel colour.